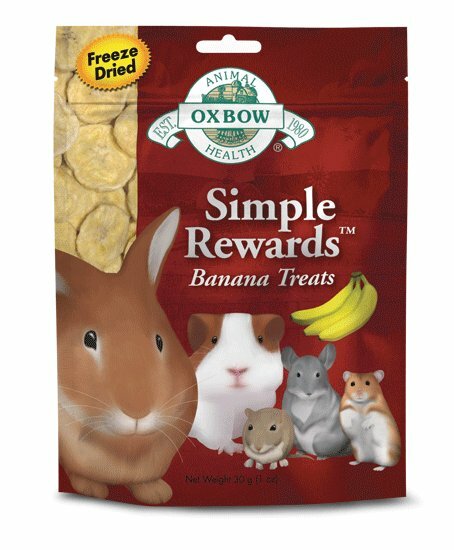 Refreshingly simple and naturally sweet, Simple Rewards Banana Treats are a great choice when you want to reward your pet. Unlike many snacks on the market that contain added sugar, our premium Banana Treats consist of only 100% banana, harvested and freeze dried at the peak of ripeness to ensure the freshest, best-tasting treat for your special pet. Our treats are a natural source of Vitamin B6 and potassium. 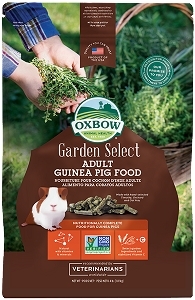 Use Oxbow’s all-natural Banana Treats to add variety and enrichment to your pet’s diet. Keep it simple with Simple Rewards. 100% Freeze-dried Bananas. No artificial colors or preservatives. Feeding Directions: Feed 1-2 Banana Treat pieces a day. Treats should not exceed 5% of your pet's daily food intake. Your pet should have access to fresh drinking water at all times.